If you have any queries or we can be of any further assistance, please do not hesitate to contact us by email or telephone. We reply your inquiries during our business days and work hard to complete it. However it may be possible to take some time to complete your request due to the subject of inquiry or high volume of inquiries. We appreciate your patronage. If any additional information is required to resolve your query, we will contact you via email. Please note this number may not be accessible or free from Mobile. PHS, IP phone networks. Please include your country code with a '+' sign. Eg: +81..
We accept Visa, Visa Debit, AMEX, AMEX Debit, MasterCard, MasterCard Debit, JCB card. Please note that there may be additional payment authentication required by your card issuer such as Verified by Visa, Mastercard Secure Code and Amex SafeKey. Also, we accept Cash On Delivery payment. At the point of order your card/payment issuer may safe guard the required funds, however, Bally will not request the funds until your order is dispatched to you from our warehouse. Security of your personal details is very important to us. 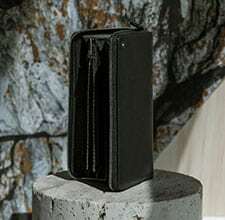 To ensure your shopping experience is safe, simple and secure, Bally uses Secure Socket Layer (SSL) technology to protect the data you send to us over the internet. All payment transactions on this site are processed via Cybersource Corporation; a secure online payment gateway which encrypts your payment details in a secure host environment. + – WHY DIDN’T I RECEIVE AN ORDER CONFIRMATION? Often time the email is regarded as a spam. Please check your email setting to accept emails from @bally.ch or see if it was received in this folder first. It is possible that you have reached your internet provider’s mail capacity limit. Please contact your provider to see if this is the cause. There may be an issue with completing your order successfully or email you entered has a mistake. Please check your order history from My Account. If you do not have an account, please contact our customer service. After placing a Bally.jp, we will inform your order status to your email address. Please also check your order status from My Account. Upon confirmation of your order, it will take up to 5 days to receive your order, depending on which region to deliver. Generally it will take 1-2days for Kanto region and around 4 days for other regions. Please use the tracking number provided in the shipment confirmation email to track your order in detail. If you’d like to specify a delivery date or ask further questions about this, please contact client services. Please note that the deliveries may be delayed due to weather conditions, national holiday seasons and other reasons. + – How much is the delivery charge? Bally Japan deliver only to Japan. We also have stores worldwide if you prefer to shop in store. Click here to find your nearest store. Due to delivery carrier restrictions we are currently unable to ship to PO boxes. 1. 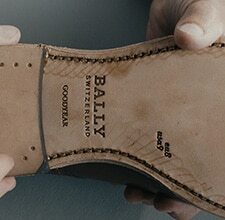 Please contact Bally Client Services within 7 days from delivery of your order to submit your returns request. We'll inform you return process. 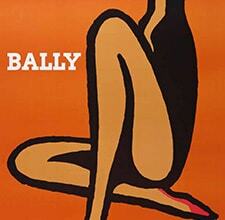 Please note we can only accept returns bought from Bally Japan online store. Please note: We kindly ask you to use Yamato Transport to return your goods and bear all associated costs and liability if you cancel your contract due to your personal preference. Any costs or expenses incurred by you are non-refundable. + – WHAT IF I NEED TO EXCHANGE AN ITEM? We only accept exchange when you receive initial defect. 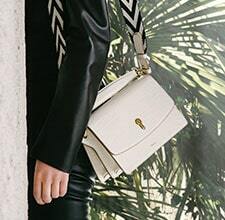 In order to complete the exchange for including size or colour, you need to return the item on Bally.jp and then purchase a new item either online or in a Bally retail location. Please note that it may be possible the item you would like to purchase is sold out depending on the time you reorder. To return an item, read our Return Policy, and about HOW DO I RETURN AN ITEM? 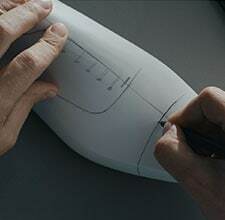 Should you find that your items have any manufacturing defects or quality problems, you should immediately Email Bally Client Services at clientservicesJP@bally.ch or call us on 0120-00-9570, Monday-Friday from 11pm-1pm, 2pm-5pm. Please note: Bally is only able to refund the card/payment method originally used for the purchase and it may take about two weeks, from the date of refund, to appear on your statement/in your account – dependent on your card/payment issuer. Our aim is to give as much information as possible on the product pages of our items. Should you require any further information, please contact clientservicesjp@bally.ch or call us on 0120-00-9570, Monday-Friday from 11pm-1pm, 2pm-5pm. Bally has two types of belt constructions – adjustable and fixed. If your belt is fixed, it has been designed with multiple size options to choose from. If your belt is adjustable, it has been designed with a singular length of material. The buckle can be removed and the material can be cut in order to fit you perfectly. Bally offers a belt cutting service in the following stores; Ginza, Ginza Six, Daimaru Sapporo Men's, Mitsukoshi Nihonbashi Ladies', Isetan Shinjuku Men's, Odakyu Shinjuku, SogoYokohama, Matsuzakaya Nagoya, Kobe, Hankyu Men's Osaka, Daimaru Osaka Shinsaibashi Men's, Abeno Harukas Men's, Daimaru Kyoto Iwataya. This service is not available for some products. This service is only for products purchased from official Bally stores. We do not accept returns or exchanges on customized product. Should you wish to discuss a repair for your Bally product, please contact clientservicesjp@bally.ch or call us on 0120-00-9570, Monday-Friday from 11pm-1pm, 2pm-5pm. 1.1 As a consumer, you may cancel your contract in relation to Products purchased on the Website, without any penalty, by either contacting Client Services on 0120-00-9570, email: ClientServicesJP@Bally.ch. You have seven (7) working days from delivery of the Products to submit your returns request. 1.2 We may ask you to bear all cost and liability for the courier if you cancel your contract due to your personal preference. Any costs or expenses incurred by you in the return of Products are not refundable. 1.3 You shall return the Products by packaging the relevant it/them securely. You shall return the Product(s) in the same condition in which you received them and they shall be returned in their original packaging; moreover, the Products shall not have been washed or damaged and the relevant identification tag shall still be attached to the Products with the disposable seal. Please note that Bally will review the returned Products via quality control. 1.4 If the Products, sent back in perfect condition, new and with all tags and labels attached, Bally will approve the return and reimburse the price originally paid. If the recipient of the Product(s) indicated in the order form is different from the individual who made the payment for such Product(s), the amount paid for returned items shall be refunded to the individual who made the payment. 1.5 On the contrary, if any of the labelling or tags are missing, do not comply with these General terms and Conditions of Sale or Bally has any reason to believe that the Products have been altered or are imitation of the Products or were not purchased directly through this Website, Bally will not accept the return and will return the Products back to you. 1.6 Should Bally accept the return, we shall refund the price of the Product(s). Bally will refund to the credit/debit card (only if you originally choose credit or debit card payment) or to the bank account you designate (only if you originally choose Cash On Delivery payment). 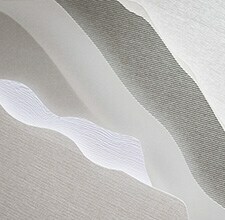 Welcome to our web site ("www.bally.jp", the "Website"). These General Terms and Conditions of Use (the "Terms") govern the access to and use of the Website. Please read these Terms carefully. By accessing and using the Website as well as by purchasing the products on the Website, you agree to be bound by these Terms. If you do not agree to all or part of these Terms, we invite you not to use our Website. This website is managed and maintained by Bally Japan Ltd. ("Bally" or "we")), with registered office in Japan at 1-19-7, Ginza, Chuo-ku, Tokyo. Please, contact Bally at the following e-mail address: ClientServicesJP@Bally.ch if you are interested in linking the Home page of the Website and other web pages which can be publicly accessible or if you wish to join our Affiliate Programme. These General Terms and Conditions of Use are governed by Japanese law. 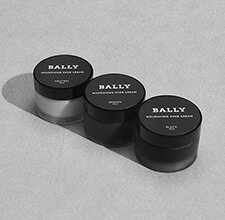 The Products purchased on the Website are sold by Bally Japan Ltd., with registered office in Japan at 8-8-5, Ginza, Chuo-ku, Tokyo , (" Bally" or "we" or "us"). 1.2 . If you are under 20 you are prohibited from ordering Products from the Website without obtaining your parent’s consent. 1.4 Products ordered on this Website may only be shipped to the countries indicated here: Japan(the "Country"). Please see Section 4 in these T&Cs for more information. 2.5 Your offer shall be deemed as accepted and the relevant contract of sale is effective from the moment Bally dispatches the Product and you receive a confirmation email containing information about the acceptance of your offer, the dispatch time, essential characteristics of the purchased Products, a detailed breakdown of the price paid for each Product and details ("Order Status Update"). 3.1 All prices indicated on each Product page are inclusive of consumption taxes. You need to incur a consumption tax (8 percent of price of product). Prices are subject to change. However, such changes will not impact the price, or the description of the Products which you have already submitted an order for. The price of Bally retail stores may be different from the Website. 3.2 Although we have taken all reasonable care that prices contained in the Website are accurate at the time of publication, a small number of Products in our Website may be mispriced. Prices are confirmed when you will receive your order receipt email outlining the different charges. 3.3 You may pay for your order using the payment methods available on the Website such as payments with credit or debit cards and Cash on Delivery (cash only). . The maximum price for the order (including consumption tax) with Cash on Delivery is JPY 300,000. If you want to purchase items with more than JPY 300,000, you need to place orders separately and each order should be maximum JPY 300,000. Please pay by cash to the delivery company upon delivery of Product. You are required to receive the Product that you ordered with Cash On Delivery within 7 days. If you do not receive the Product within 7days, the order will be automatically cancelled. 3.4 We take reasonable care to make our Website secure. All credit or debit card transactions on our Website are processed using Cybersource, a secure online payment gateway that encrypts your card details in a secure host environment. We will securely store your credit or debit card details on the Demandware platform. These details will be fully encrypted and only used to process card transactions which you have initiated or to issue refund in case of return or unavailability of the Products or for reporting cases of fraud to the police. 3.6 Payment will be “reserved” or “frozen” by your card issuer when you attempt to/make a purchase on the Website. If you choose credit or debit card, the price for the purchase of Products and the corresponding costs, as indicated in the order receipt email, will be charged to your chosen payment method only when the purchased Products are actually shipped. 3.9 Refunds, for whatever cause due, of any payment received by you will take place using the following methods in accordance with the method of payment you chose during the check-out procedure and cannot be amended after your order has been placed. 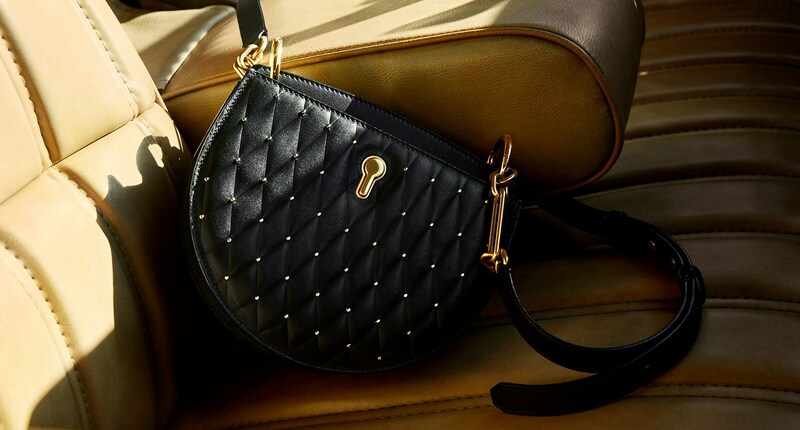 Bally will not be responsible for any delays beyond its control including delays caused by the method of payment/refund or those incurred by the card issuer. 4.1 Bally will cover shipping fees for the delivery. 4.2 Delivery from this Website is restricted to the countries indicate here: Japan. 4.8 Upon delivery, it is the customers’ responsibility to ensure that the parcel that they are signing for is without damage, visible alteration or wet. 4.9 Upon full and correct payment, delivery, and signature of the parcel, the Products will become your property and you will become fully responsible for the Products. 5.1 As a consumer, you may cancel your contract in relation to Products purchased on the Website, without any penalty, by either contacting Client Services on 0120-00-9570, Email:ClientServicesJP@Bally.ch. You have seven (7) working days from delivery of the Products to submit your returns request by email or phone call. 7.1 Client Services will be able to assist customers with requests for information, assistance on orders, shipping, refunds and returning Products purchased on the Website. Client Services can be contacted on 0120-00-9570 or via email at ClientServicesJP@Bally.ch Client Services operating times are: Monday to Friday, from 11am -1pm, 2pm -5pm. 15.1 These T&Cs and the other policies of the Website shall be governed by and interpreted in accordance with the laws of Japan. Disputes arising in connection with these terms shall be subject to the non-exclusive jurisdiction of the court of Tokyo, without affecting the consumer's right to start a claim before the courts of the place of residence. The effective date of these General Terms and Conditions of sale is 28th September 2015. 2.1 The data controller of the Website is Bally Japan Ltd. ("Bally", "we", or "us"), with registered office in 8-8-5, Ginza, Chuo-ku, Tokyo (Japan). 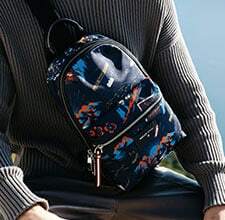 2.2 As indicated in the General Terms and Conditions of Sale, the online store of the Website is managed by the company Bally Japan Ltd., with registered office in 8-8-5, Ginza, Chuo-ku, Tokyo (Japan). Bally deals with managing sales and transactions carried out through the Website, such as processing orders, sale and delivery of products, processing returns and warranties and other activities necessary for the sale of products through the Website. For the managing and the implementation of activities required for the sale of products through the Website, Bally processes users data (including name and surname, address and user credit card details). 4.1 The Website uses automatic systems of data collection such as cookies. A cookie is a device transmitted to the hard disk of an Internet user: it does not contain intelligible information but it allows linking between an Internet user and his/her personal data (such as, by way of example, user’s IP address and other information about user’s experience on the Website and his/her preferences expressed while choosing services and purchasing products offered by the Website) provided by the user on the Website. Cookies are disseminated by servers and no one may gain access to information contained therein. These information and data are gathered directly and automatically by the Website and are processed in a collective and anonymous way. 6.3 We do not sell users’ Data to third parties for their marketing purposes without users’ explicit consent. We may combine users’ Data with information we collect from other sources and use it to improve and personalize our advertising and marketing to users. 7.2 We protect user’s Data using technical and administrative security measures to reduce the risks of loss, misuse, unauthorized access, disclosure and alteration. Some of the safeguards we use are firewalls and data encryption, physical access controls to our data centres, and information access authorization controls. 8.3 The aforementioned subjects that receive user's Data will process them as data controllers or co-data controllers, data processors and/or persons in charge of processing Data as the case may be, for the same purposes above specified and according to applicable Personal Information Protection law. The list of data processors and the receiver of data can be requested at any time by the user of Bally. 9.1 User is entitled to obtain, at any time, a copy of their information and to have any inaccuracies corrected. Where appropriate, the user may have their personal information erased, rectified, amended or completed. Please Call to us at Phone number 0120-00-9570 or send an email to ClientServicesJP@Bally.ch. 9.2 User may revoke, at any time, consent to the delivery of commercial and promotional material via email by clicking the “unsubscribe” link in every commercial communication sent by Bally and/or other companies of Bally Group. The website www.bally.jp (the "Website") uses automatic systems of data collection such as cookies. A cookie is a small piece of data that is used to store information on your computer's browser or program data subfolders when you visit a website, such the Website. Most web browsers (Internet Explorer, Google Chrome, Firefox, etc.) are configured to automatically accept cookies. However, most web browsers allow some control of most cookies through the browser settings, including the disabling of cookies at any time. We wish to make you aware, however, that disabling technical/browsing cookies or functional cookies may prevent our Website from functioning correctly and/or may not allow you to fully and effectively take advantage of the services we offer. 1.1 Bally warrants to the consumer that the Products comply with the specifications and are free of material defects and workmanship errors for a period of twelve (12) months from the date of delivery (however, subject to follow the terms provided in 1.3 and 1.4). 1.3 If a Product has manufacturing defects or in any case of alleged lack of conformity of Products, in order to benefit from his/her rights under this warranty policy the customer must notify the Client Services on 0120-00-9570, Email: ClientServicesJP@Bally.ch within a period of seven (7 )working days from the date on which he/she detected such lack of conformity. In any case, the proceedings intended to enforce the lack of conformity not fraudulently hidden by Bally shall in any event expiry after twelve (12) months from delivery of the Product(s). If you offer it after twelve (12) months from delivery of the Product(s), we will not accept your request. 1.4 The Product(s) should be returned to Bally within seven (7) working days following notification to Bally of the damaged or defective Products. 1.6 Bally will refund the price and your costs of returning defective Products to the credit/debit card (only if you originally choose credit or debit card payment) or to the bank account you designate (only if you originally choose Cash On Delivery payment). If the recipient of the Products indicated in the order form is different from the individual who made the payment for such Products, the amount paid for returned items shall be refunded by the Vendor to the individual who made the payment.